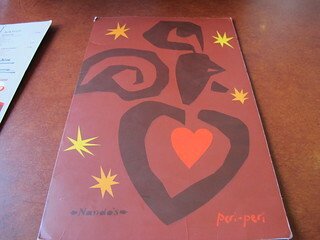 After a full year of watching English Youtuber’s going and talking about eating at Nando’s, I was dying to try it out. And my mom’s boss recently raved about eating at the downtown location..I just had to go and see what it was all about. This is not a typical restaurant ‘dine-in’ style and it was my first time at this. Basically, you can ‘take out’ or eat at the restaurant. Here’s the twist, if you decide to eat there, you still order at the till and they give you a number for your table. Then, when your food is ready, they’ll ‘serve’ you your food. Seems strange but I’ve kind of avoided these restaurant styles, as my dad (in particular) likes to be served when we go out to eat. The menu: there are many food items on the menu. There are specials for more than 1 person. And you get to choose the spiciness level. I think this would be a great place to eat, if you have a large party (and everyone pays for their own meal). It’s more than reasonable pricing for one person. 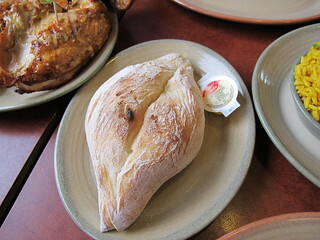 When I go out to eat, with my friends for a birthday, I would pay an average of $30, but at Nando’s you won’t even go there, I’d say you’ll pay about $15 and be full. 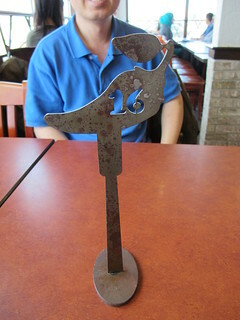 The table number. So they know where you are! 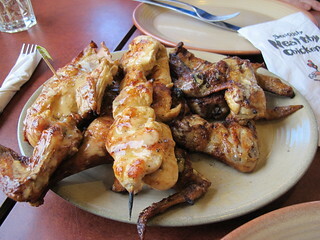 Our food: half a whole chicken, 2 chicken skewers and 5 wings. It’s called “Variety.” It also comes with two sides (picture below). 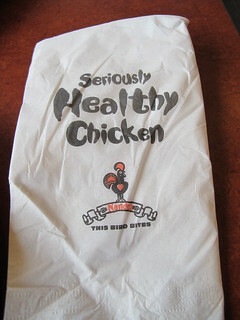 Our spicy level was lemon and herb, which wasn’t too strong or bland. 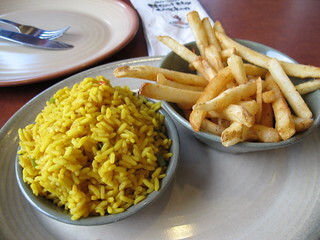 The two sides: spicy rice and peri peri fries. I loved the fries, as they had a spice to it, but I couldn’t tell what it was. And for the rice, it was flavourful, light and fluffy. My mom ordered a Portuguese bun on the side because her boss had told her if she went there, she had to try one of these. It was delicious, I think it’s because of the charred/ barbeque flavour. It was quite yeasty too, which I liked. 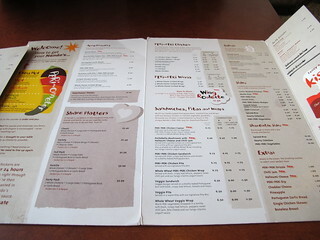 *Dining experience is somewhat like Swiss Chalet (from personal experience).